And we want to wish Alice a very Happy Birthday today! Anything that includes smiles on my grandchildren’s faces. Sharing close cozy moments with my husband Jonathan. 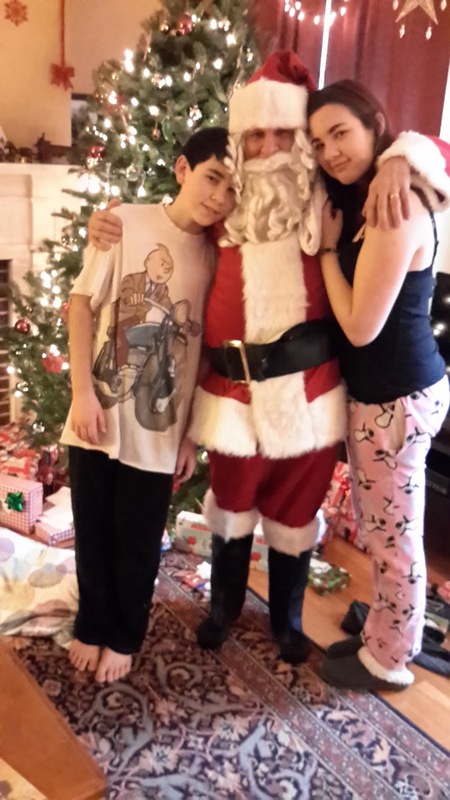 Being with family – when I’m not too hassled to enjoy it. Cooking for people I love – when I’m not too hassled to enjoy it. Being in the sixth row on the right in our church and feeling blessed. Remembering my grandmother Alice Jane Rowland Boudiette. Making up stories and writing them down. Being grateful for all of my favorite things. Including the Holiday Season. Happy Holidays Everybody. ABOUT THE AUTHOR: An Amazon reviewer says, "Alice Orr is a brilliant writer who has a Number One best seller hidden in her pocket. I look forward to more of her work." I say “Thanks!” I love to write. Especially romantic suspense novels and blog posts. I’ve been a workshop leader, book editor and literary agent. Now I live my dream of writing full-time. I’ve published thirteen novels and four novellas – both traditionally and independently – plus a memoir so far. I wrote my nonfiction book, No More Rejections, as a gift to the writers' community I cherish. A revised edition is now in progress. Amazon says, "This book has it all." 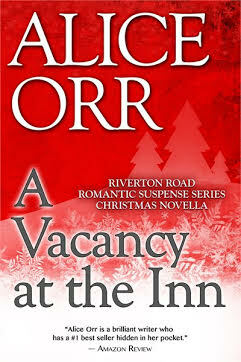 About my romantic suspense, Amazon says, "Alice Orr turns up the heat." Most of all, I like to hear from readers. Visit my website at www.aliceorrbooks.com. I have two grown children and two perfect grandchildren and I live with my husband Jonathan in New York City. SUMMARY: A Vacancy at the Inn is the first Novella of the Riverton Road Romantic Suspense Series featuring the Kalli family, and now the Miller family too, in stories of Romance and Danger.